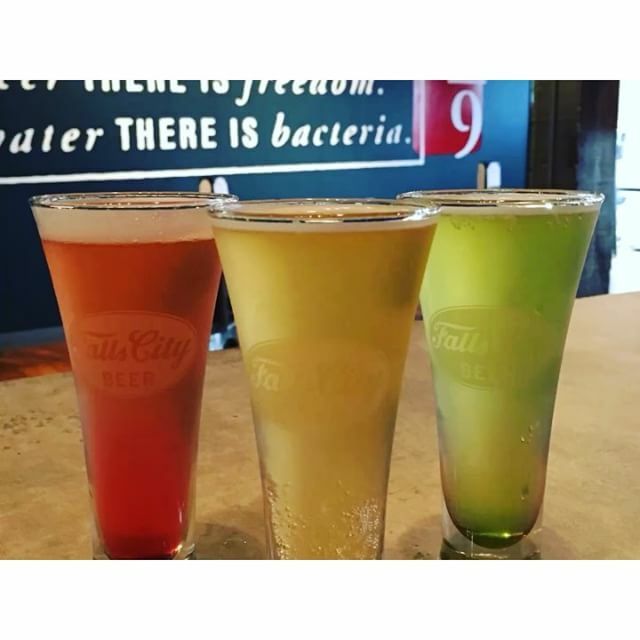 Continuing with their experiments in brewing seasonal beers, Falls City Brewing has concocted a traditional German summer wheat beer, a Berliner Weisse, a tribute to a Falls City product from a century ago. According to a story in Insider Louisville, Falls City brewer Dylan Greenwood found out about Falls City’s wheat beer tradition by chance, but then decided to try his hand at a traditional tart summer wheat beer. The mash bill for the brew balances pale malts with wheat, and uses Lactobacillus for souring, which makes for a light alcoholic brew with a tart-on-the-tongue flavor. Wheat beers can be drunk straight, but the tradition is to flavor them with syrups. Greenwood offers a flight of plain, woodruff syrup flavored and raspberry syrup flavored weisses. Woodruff is a wild herb whose leaves and flowers are used to create a sweet lavender-like syrup.